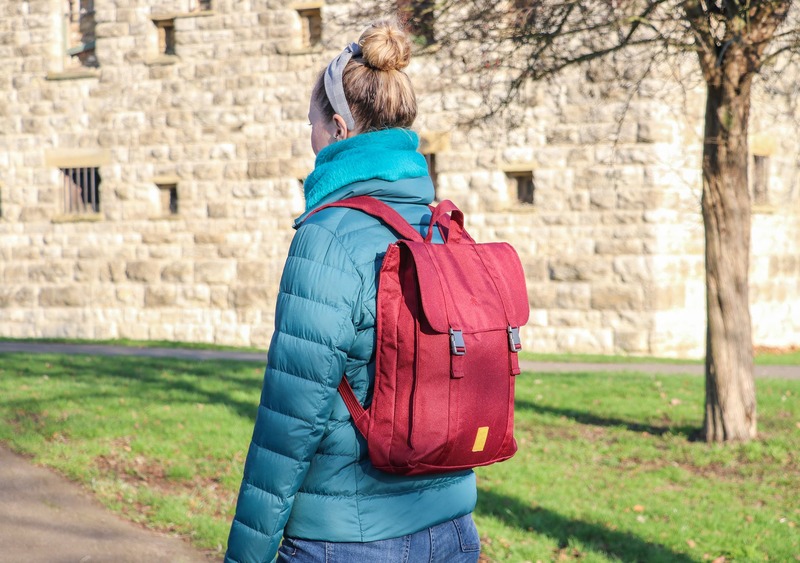 The Lefrik Handy Backpack isn’t ideal for bulkier items, but it is an eco-friendly, lightweight, and minimal daypack perfect for urban adventures. The Lefrik Handy Backpack is an eco-friendly 10L daypack designed for urban travel and everyday use. Established in 2012, Lefrik is a relative newcomer to the backpack game, but their product line is already quite impressive. And their mission statement “to solve travel and city commuting problems by providing the most fashionable and functional bags for the modern digital nomad” checks a lot of our boxes over here at Pack Hacker. 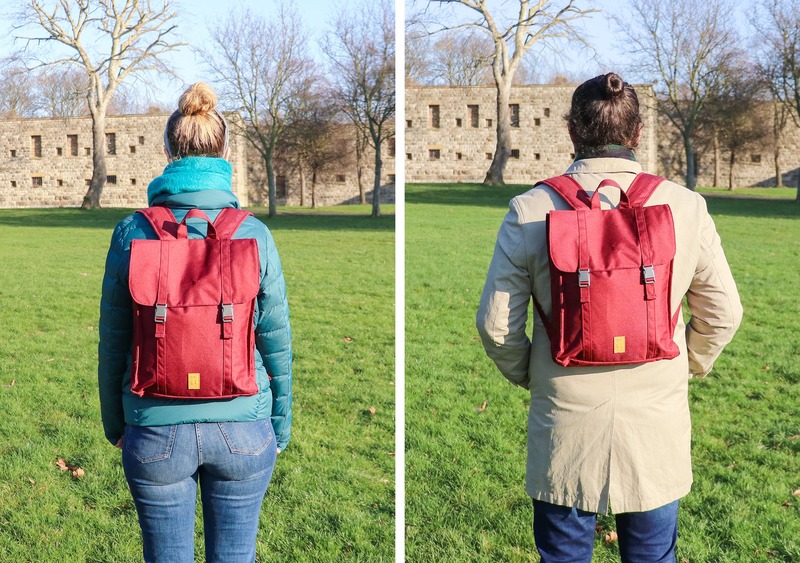 To date, we’ve been testing the Handy Backpack for three months, and it’s seen daily use transporting our work and tech gear around Essex, England. So, how well did it perform? And should you consider this as your next daypack? Let’s dive in and find out! 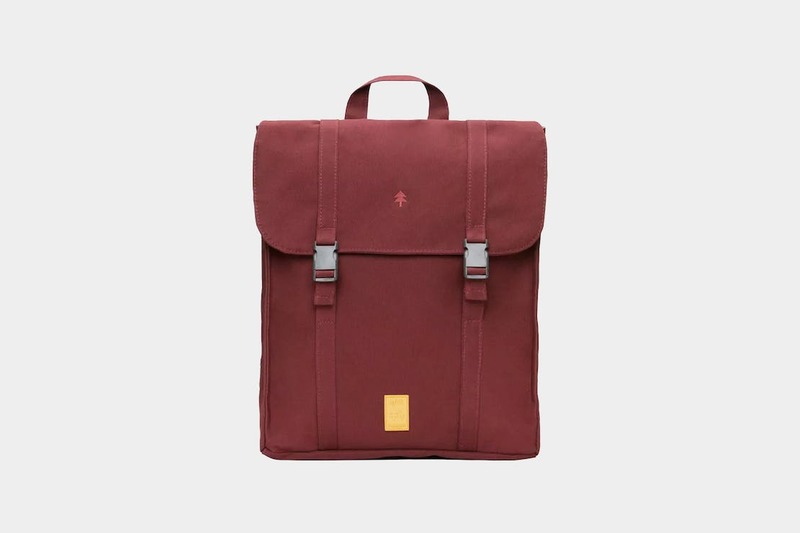 With its streamlined, minimal, and super slim design, there’s no denying the Lefrik Handy Backpack is rocking an urban aesthetic. We’re digging the overall style, and this is a pack that will look good in cities around the world. From a branding perspective, Lefrik has kept it subtle. 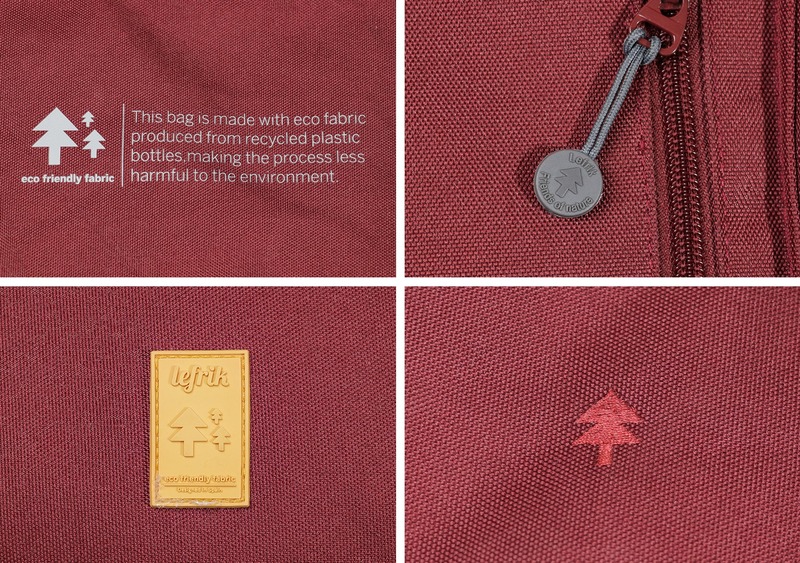 You’ll see two Lefrik tree logos on the front of the pack, a statement about their eco-friendly fabric underneath the lid, and small logos on the zipper pulls. 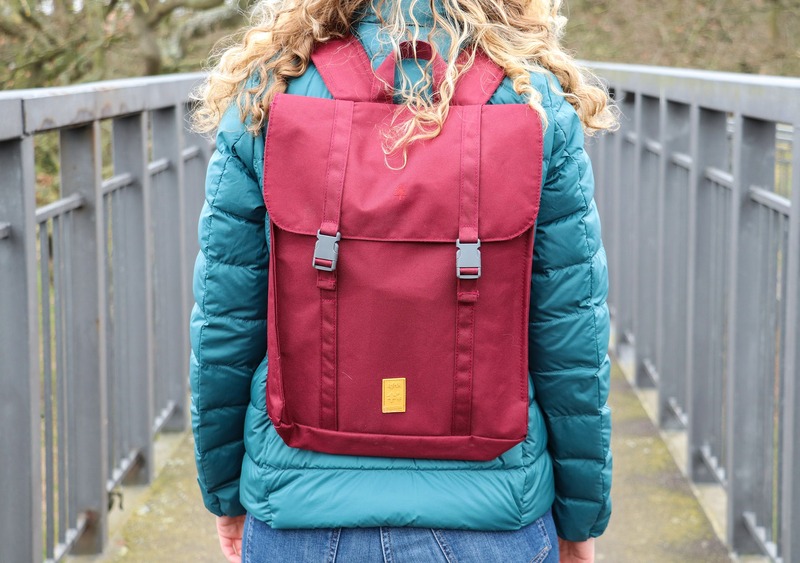 At the time of this review, the Handy Backpack is available in black, grey, olive, night blue, and granate (garnet in Spanish). 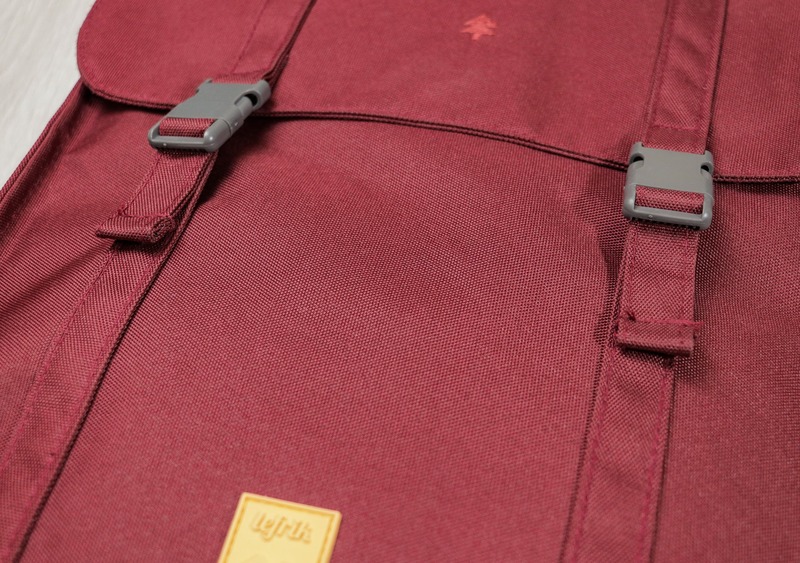 We can’t get enough of the muted tones, especially the granate, which gives a nice pop of color without screaming “HEY, look at me!” We really like all of the colors, and we appreciate that Lefrik has produced this pack in such a wide range of colors to suit just about any preference out there. Moving into the materials, Lefrik makes a big deal about their eco-friendly fabric, which is fair considering it’s made of 100% recycled polyester from discarded PET bottles. Using recycled materials and saving plastic from the landfill is hard to argue against and Lefrik gets a big thumbs up from us here! 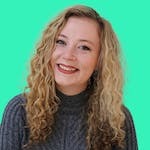 Just a note: Lefrik isn’t the only brand on the market utilizing recycled polyester, and fortunately the practice is becoming more and more prevalent! We’d recommend taking a look at the Patagonia Arbor Classic Pack, Fjallraven Travel Pack, and Sandqvist Zack if you’re interested in more environment friendly packs. The recycled polyester on this pack is strong, abrasion resistant, and flexible. But it doesn’t stop there, as Lefrik has applied a TPE (thermoplastic elastomer) coating for additional durability and weather-resistance. 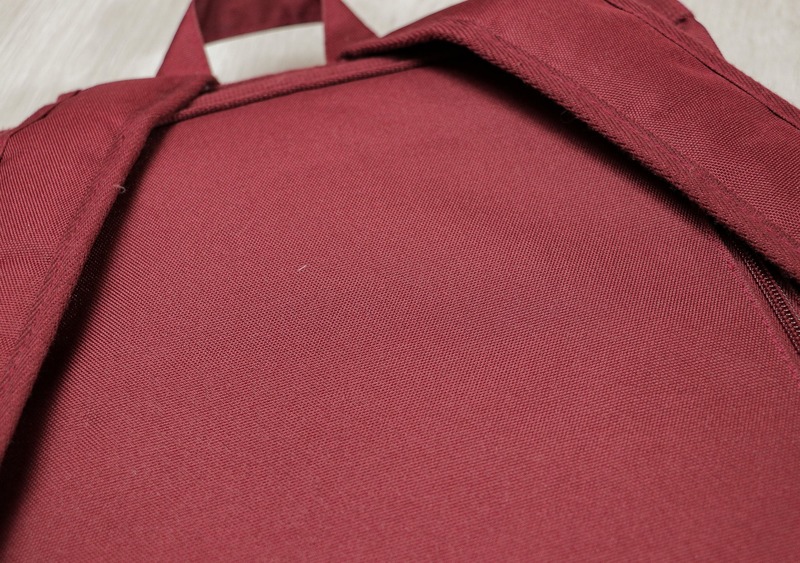 While we’ve found this coating makes the fabric a little ‘crunchy’ and increases its tendency to crease, we’re happy to make the trade-off for the benefit it brings. 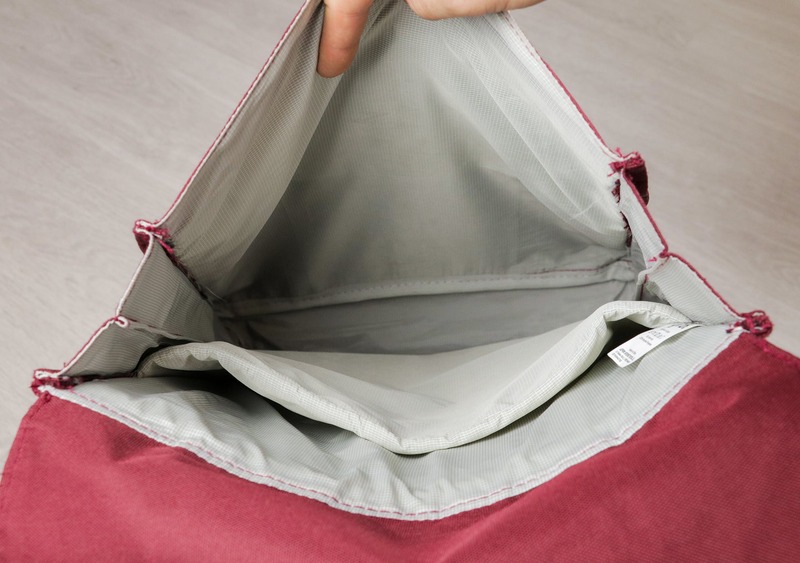 The interior fabric is nylon, which is softer than polyester and provides a smooth lining for sliding your items in and out. But for a company that makes such a big deal about using eco-friendly fabric, the inclusion of nylon (which isn’t very eco-friendly) feels a bit weird to us. Some of our highest rated packs are made from nylon so we can’t knock Lefrik too much here, but for a genuinely eco-friendly bag, why not just use recycled-polyester for the lining here? 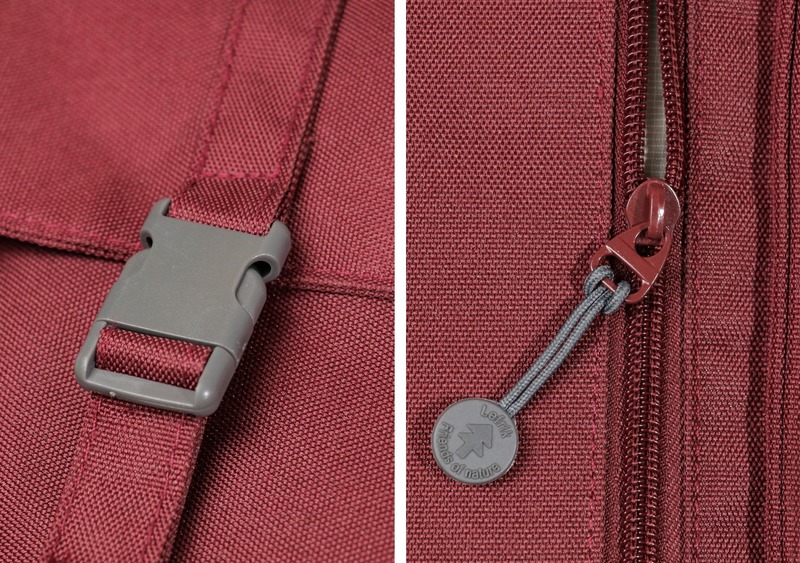 The buckles and zippers on the Handy Backpack are basic and unbranded. This is semi-excusable because of the low price-point, but they do feel cheap. And while they are still going strong after three months of use, we do have concerns over their long term durability. We’ll be sure to keep the usage timeline updated below! Starting with the harness system, this pack is more than comfortable for a 10L daypack. There’s nothing special going on, but the padded shoulder straps and back panel provide more than enough support for everyday use—as long as your bag isn’t full of rocks or gym weights, which we think is a pretty niche use case. The shoulder straps are adjustable, so this pack will fit most body types. However, it does look a bit funny on anyone over 6ft because of its super slim design. The quick-grab handle on top of this pack is pretty basic, but it does help with picking it up in a rush and hanging on a hook. It’s a nice addition and doesn’t get in the way when not in use, which is a plus. We should also mention that there is no water bottle pocket. We didn’t find this to be too big of a problem, but it’s a key feature for some people so it’s worth bringing up. You can certainly put a water bottle in the main compartment, but it’s a bit of a pain to access. 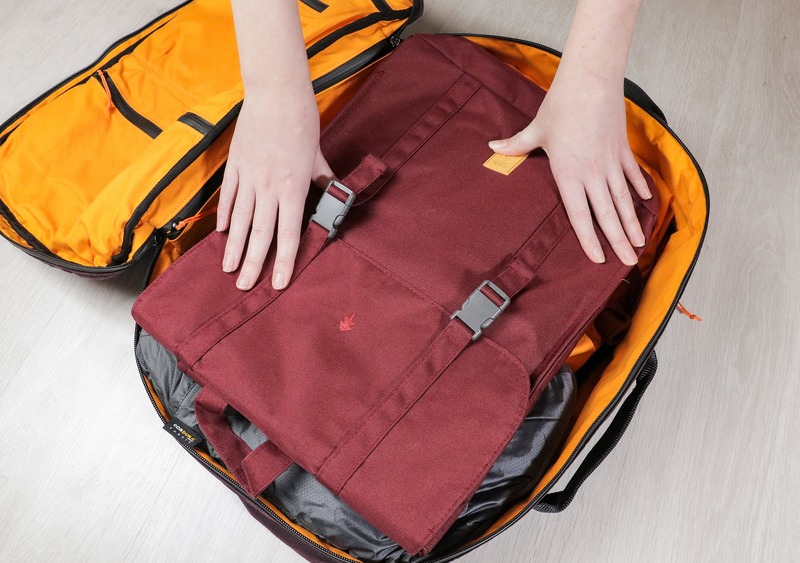 Moving inside the pack, there is a zippered quick-grab pocket on the back of the bag. This pocket is almost the same size as the back panel and there’s a ton of room inside. However, we’d recommend keeping items here as slim as possible, as this pocket rests against your back. 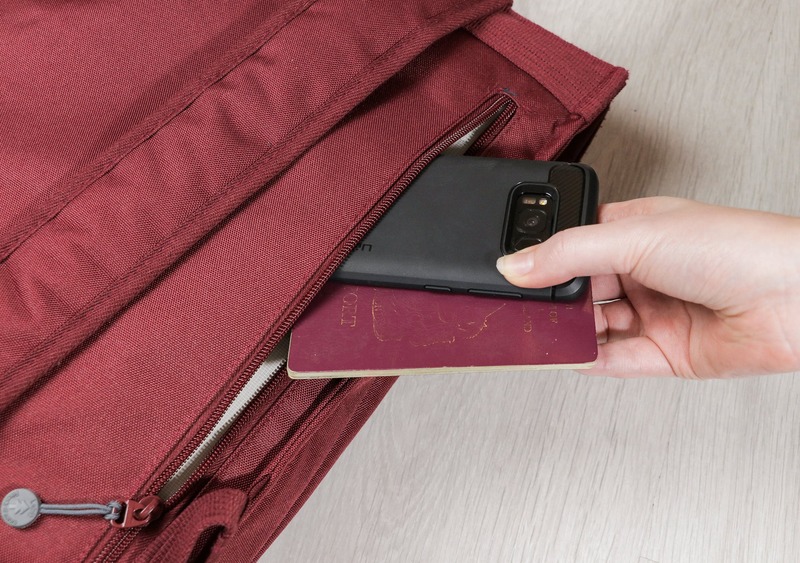 We’ve found this pocket to be ideal for phones and passports, and it’s extra secure since it can’t be accessed when you’re wearing the backpack. Now it’s time to unclip the front buckles and take a look at what’s going on inside the main part of the pack. 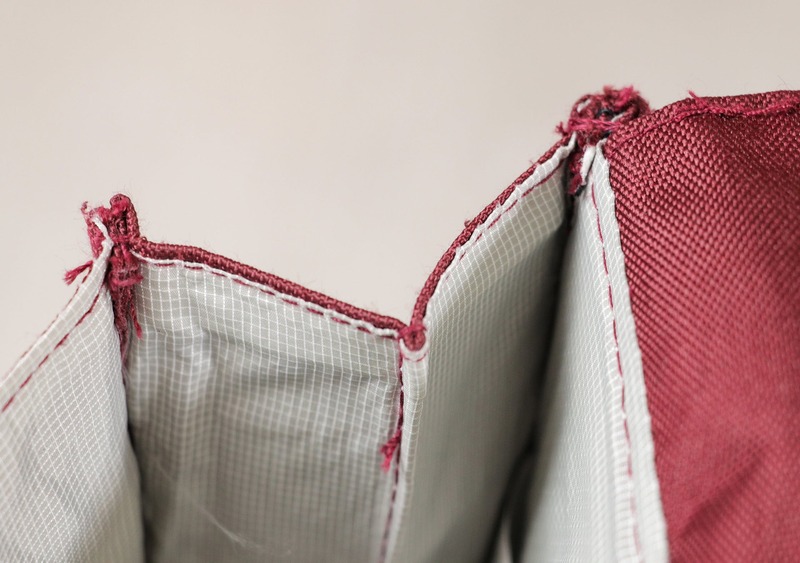 Before you get to the main compartment, there is one more zippered pocket underneath the lid. This isn’t necessarily “quick-grab” because you have to lift the lid first, but it still comes in handy. And it’s a great place to put smaller items like earbuds and GoTubbs. Inside the main compartment there is a padded sleeve at the back, which is perfect for laptops up to 15 inches. 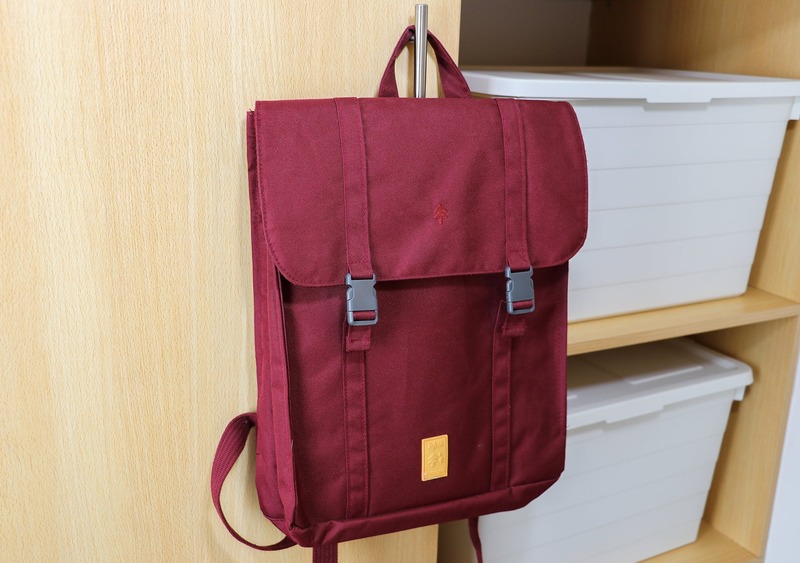 We’ve also found it to be a great location to put important travel documents and notebooks. 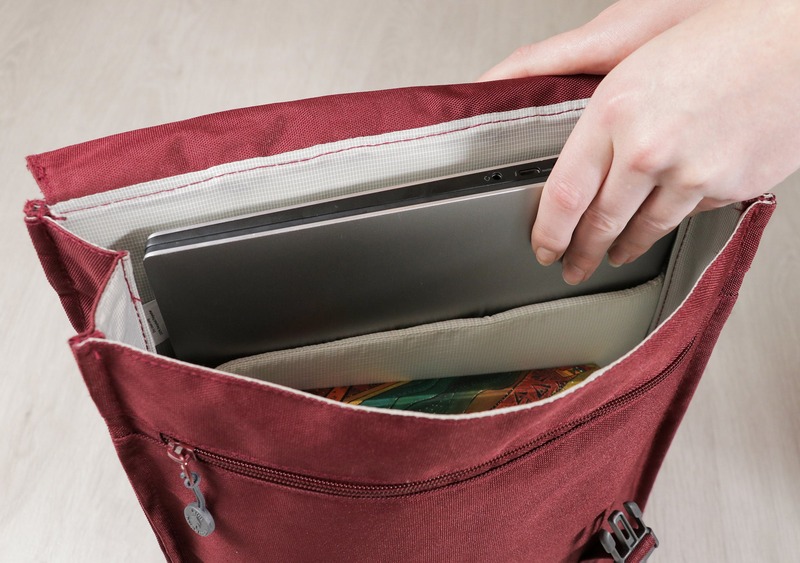 In front of the laptop sleeve, there is plenty of room for other items like sweaters and accessory pouches. Although we should remind you that this thing is only 10 liters! It does have its limits. We’ve been testing the Lefrik Handy Backpack for the last three months, and it’s seen frequent use as a work and tech daypack around town. To date, we’re happy to report there are no significant signs of wear—which is excellent considering its low price-point and budget components. However, we do hold some concerns over the long term durability. There is some noticeable fraying on the threads around the edges, and the buckles and zips feel particularly susceptible to damage, although they’re still okay at the time of this review. However, while this isn’t a pack that puts extreme durability at its forefront, it should be fine for everyday use for most people. In testing, we’ve found the Lefrik Handy Backpack works quite well as an additional daypack that can be brought along on one bag travel trips. Sure, there are more packable daypacks—like the Matador Freefly16, for example—but the super lightweight (0.95 pounds) and extra slim design makes it one of the most packable “proper backpacks” that we’ve tested to date. Easy to use and we’re loving the dark red granate color. The size is perfect for a laptop, sweater, and other tech bits. Some frayed stitching around the edges, but the buckles and zippers are still holding up well. Pleasing urban aesthetic with a great choice of colors. Not ideal for larger, bulkier items. Components feel cheap and lack durability. 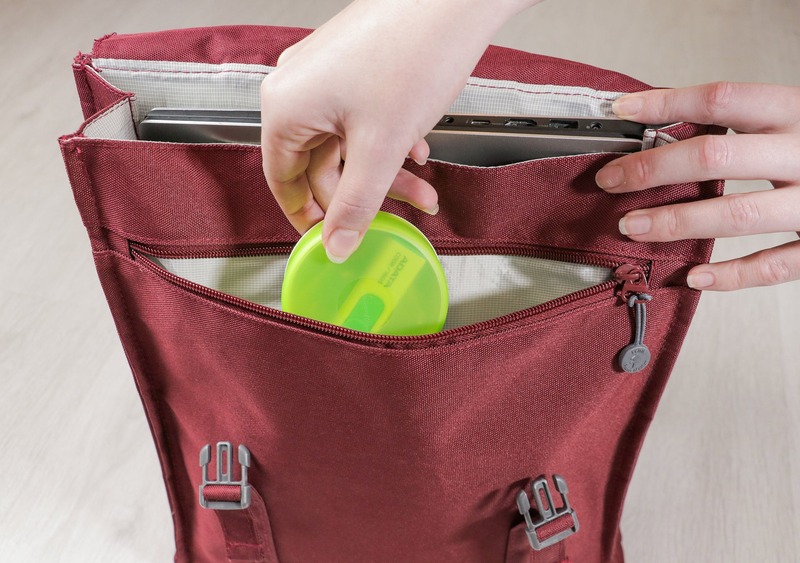 Quick-grab pockets can be time-consuming to access. The Lefrik Handy Backpack is simple, but that isn’t always a negative. 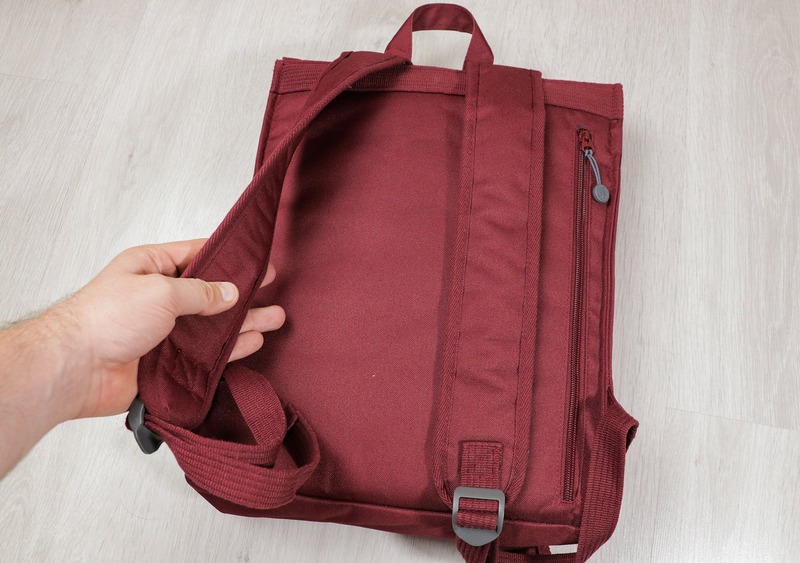 This pack is easy to use from the get-go and it will hold your everyday work and tech gear in a sleek, stylish, and minimal form-factor. If you’re looking for a super durable backpack to lug around bulky equipment, this bag isn’t for you. 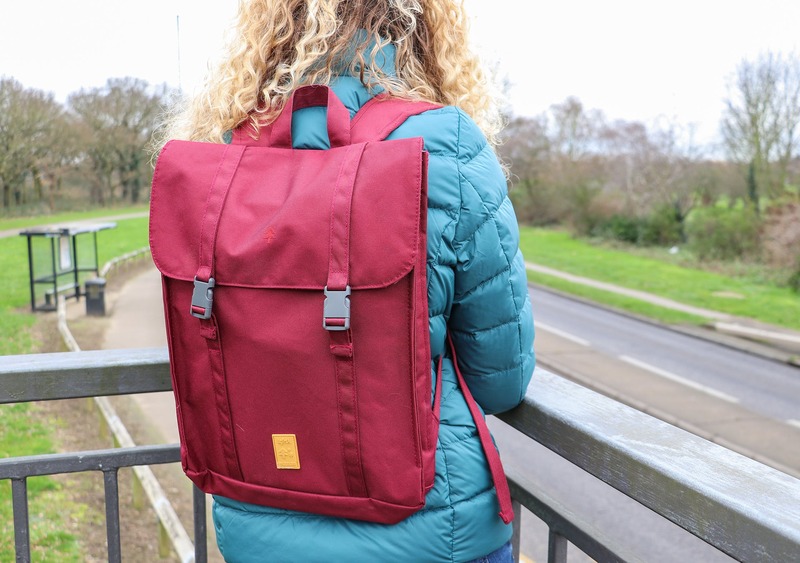 But, if you’re after a lightweight, everyday bag at a very reasonable price-point, the Handy Backpack from Lefrik could be your new daily companion on your urban adventures. Not to mention, it’s eco-friendly and can fit inside a one bag travel pack!